I really love entertaining in my home around the holidays. I figure if I am going to decorate my place I want to have someone else there to enjoy it with me. Last week I had some of my favorite girls over for a holiday get together. 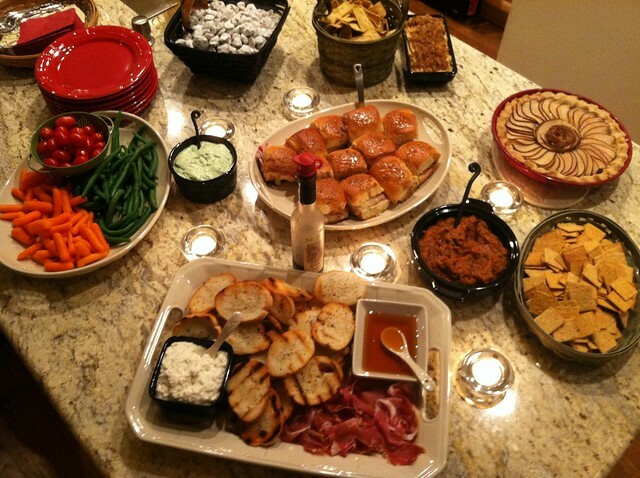 I tried a few new appetizers (stay tuned), and kept some of my old favorites on the menu like everyone’s favorite ham and cheese sliders, roasted vegetable dip, and green herb dip. I wanted a unique cocktail to round out the menu. Last year I made a St. Germain Champagne cocktail, which I loved, but wanted something new. I knew exactly what to do after seeing Giada make this Sgroppino cocktail on the Food Network. 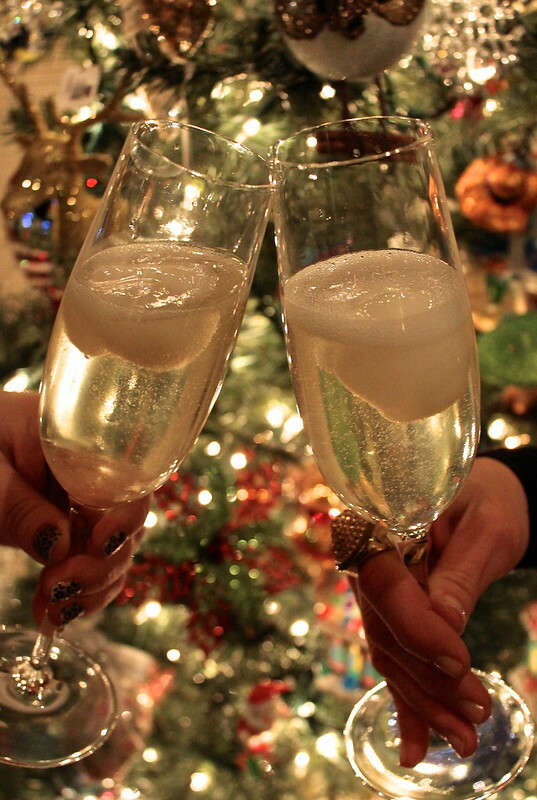 It is a combination of prosecco, a dash of chilled vodka, and a scoop of lemon sorbet. Giada added fresh mint, but I did not use it in my version. It was delicious and refreshing. It would be great at any holiday party. I don’t know why I waited so long, but I finally joined the ranks of Pinterest users. I suffer from board envy because mine look pretty bare so far. I’m excited to fill them up with great recipes and ideas. 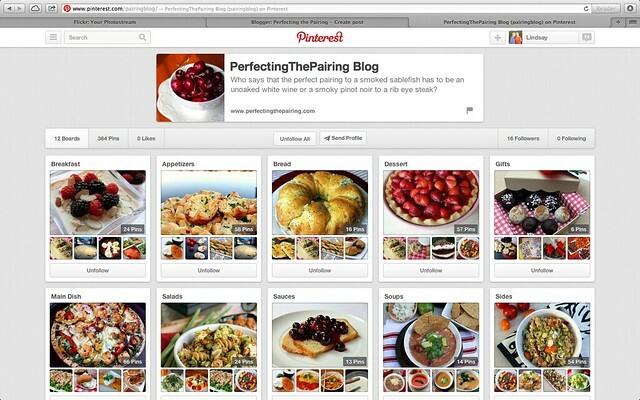 I also created a Perfecting the Pairing Pinterest page. There is a board for each recipe category and links to every recipe on the site. I know I love having the visual, so hopefully you will find this helpful as well. Also, I changed a few things on my site to make it more pin-friendly. Now there is a “Pin it” button next to each picture, and a link to Perfecting the Pairing’s boards on the right side.